Any of you folks out there have any fun recipes for the classic tiki food for pupu platters?I have a few,but more would be terrific-thanks for the input. I may have some recipes. What ones do you already have? I haven't thought about pupu platters since the Kona Kai Room and Trader Vic's closed in Kansas City, years ago. I still enjoy making rumaki for parties-----wrap some bacon (pre-microwave it a bit first just to get a bit of the grease our) around a water chestnut and dip in teriyaki sauce. Grill (or if you have a real pupu platter, run it over the flame in the middle. It's still a classic! OK. I surrender. What is a pupu platter? Pu-Pu platters are essentially a bunch of tidbits that are arranged around a sterno encased in a cast iron cooking grate. This items are usually all precooked and the guest can "cook" them over the flame. Egg rolls, teriyaki beef sticks, scallion chicken in foil, chicken wings, spareribs. Thanks. I remember seeing them in a now-gone Columbus restaurant, the Kahiki. I didn't know what they were called. Pu-Pu platters are now mostly found in Honolulu. They are usually very good. At least I like them. It is a great apettizer. Rex in expensive San Diego. Our favorite local Chinese Restaurant still has them on their menu. I just saw this posted yesterday on a recipe forum. I know, I know, that's not the way to make ribs. Cut spareribs into 1 1/2 inch pieces. In a large saucepot, combine ribs, garlic, ginger, and salt. Add water to cover ribs, bring to a boil, lower heat, and simmer until ribs are tender, about 1 to 1 1/2 hours. Drain. Combine remaining ingredients and marinate ribs in sauce overnight in the refrigerator. Place ribs on rack of broiler pan and broil 3 inches from unit for 7-10 minutes, basting with remaining sauce. Turn and broil for 5-7 more minutes. Makes 15-20 servings. This brings back some excellent childhood memories. APPETIZERS Six varieties served native-style with flaming hibachi. Fried shrimp, barbecued chicken wings, egg rolls, barbecued boneless spare ribs, goldfingers and beef teriyaki. Thanks for sparing me...I've heard of these but wasn't even close as to what might have been put on a PuPu platter. Seriously, I was think a bunch of fried "stuff". I associate eating the PuPu Platter with the same style as a Fondue dipping session. The difference being you singe your food instead of dip it. Either way it doesn't hold much interest for me. Nah me either and further more it'd be a hard sell for the kid's. But you know sometimes you have to renew your sense of adventure. I found a semi-local place that maybe just might still have the increasingly elusive shrimp toast on the menu! 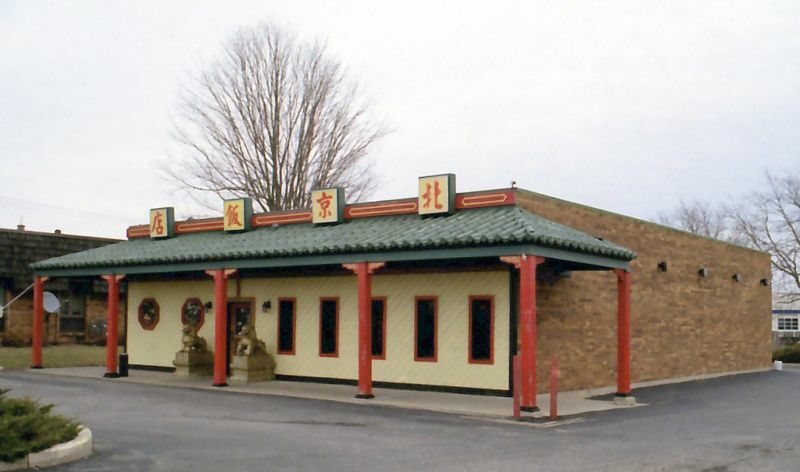 I've driven by Peking Chinese Restaurant in Janesville, WI many times over the years but have never eaten there, so I'm thinking that I might just have to pop in for a light lunch sometime soon to check it out. The restaurant doesn't have an actual website so all I know about it is from the few photos that show up online, but since it's been around since 1986 I'm hoping it's pretty good. The menu also shows a "Peking platter" as the first appetizer, so hopefully it's a big plate with a center firepot. Nothing better than a Zombie and a Pu Pu Platter...just make sure you have a DD. 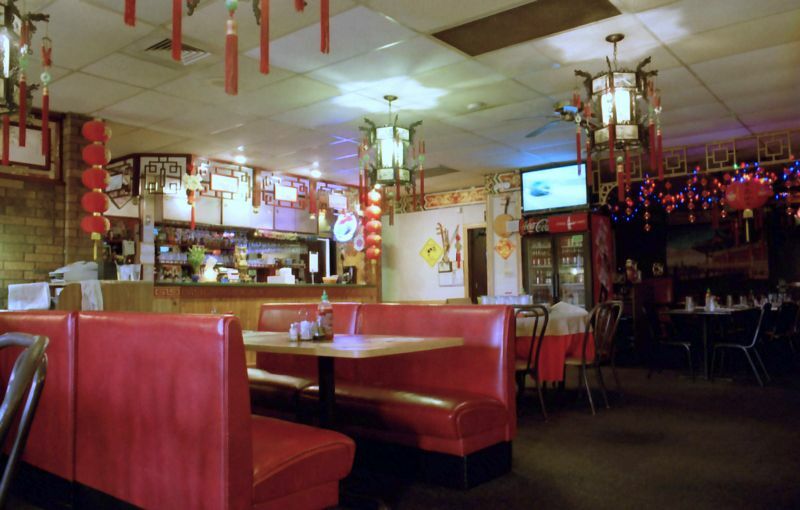 We wound up going to Peking Restaurant for dinner last night and the Peking platter contained 1 each of an eggroll, shrimp toast, crab rangoon, beef skewer and 1 or 2 other items that I can't remember at the moment, but it didn't have the little iron firepot. Still, the shrimp toast was exactly what I was hoping it would be and after tasting it my wife remarked that we should've ordered a plateful. That will be next time. It is so hard to find shrimp toast! Congratulations on locating some that sounds like it was good! Glad you enjoyed it. I've noticed that some places around here no longer include the fire in the middle of the pupu platter. I wonder if it's a safety concern. It's interesting how that works. It's regional. 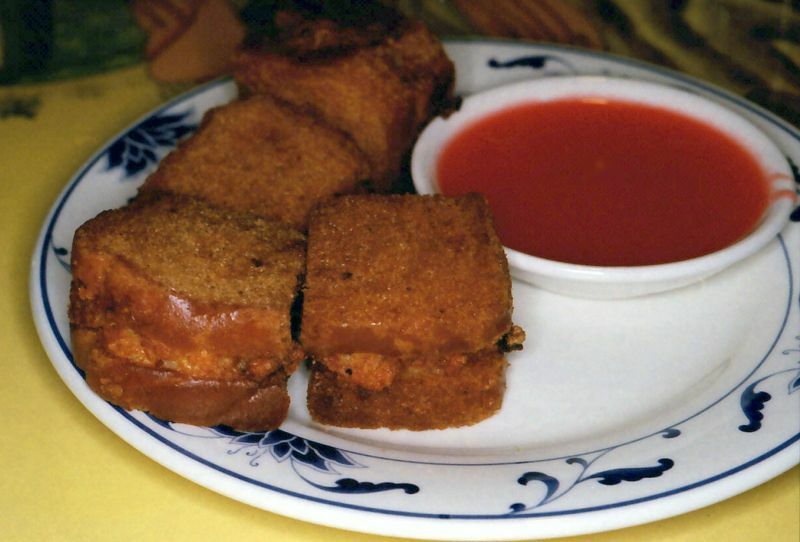 Shrimp toast is fairly easy to find in my region. But it's virtually impossible to find foil or paper-wrapped chicken, which I know is fairly common in other parts of the country. 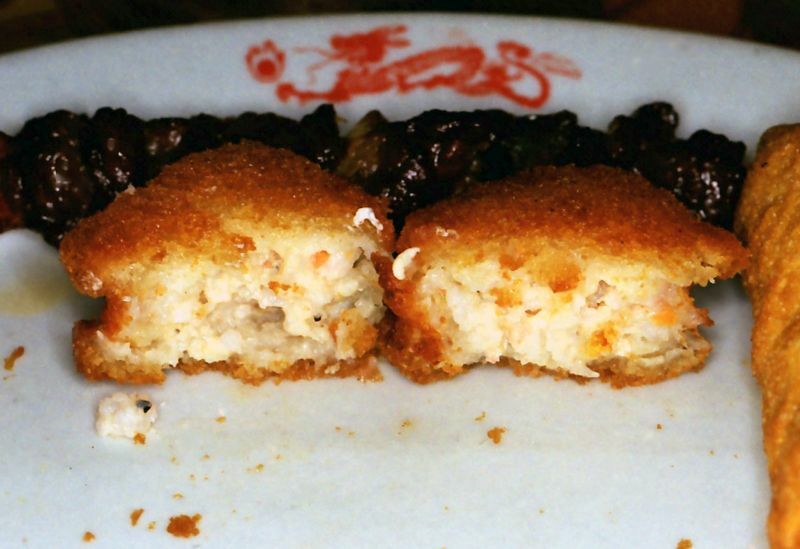 When I was young, both foil-chicken and shrimp toast were sometimes found in pupu platters. That's no longer the case as far as my personal experiences and menu-browsing goes. Even places that have shrimp toast rarely include it with the pupu platter. 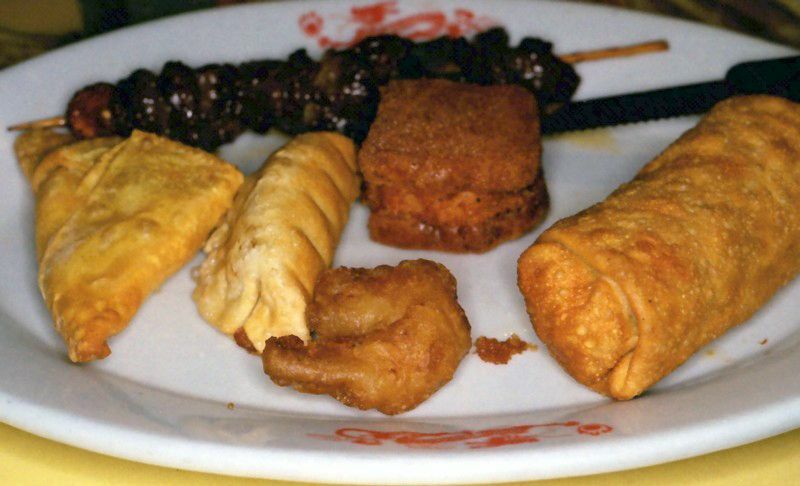 I would say that while there is certainly a little variation, the most common pupu platter in the Philadelphia area now consists of an egg roll or spring roll, spare rib, beef on a stick, a fried chicken wing, and a fried fantail shrimp for each person ordering. I'm starting to see more places include a spring roll. I prefer egg rolls. Still, the shrimp toast was exactly what I was hoping it would be and after tasting it my wife remarked that we should've ordered a plateful. That will be next time. "Next time" happened as a solo lunch for me a few weeks ago. The Peking Platter for one. Beef skewer in back with a crab rangoon, wonton, crispy shrimp, eggroll...and shrimp toast in the middle. Crispy on the outside, delicious shrimpy goodness on the inside. Some things in life are good in a quantity of one...like mortgages and wives, for example. Shrimp toast is not one of those things. Love the look of that place.